The Homeschool Buyers Co-op is pleased to present a special opportunity for Notgrass History! Members get BONUS SmartPoints + FREE Shipping with any purchase at the Co-op for Notgrass History titles listed below! Notgrass Company, a family business serving homeschoolers since 1999, offers Bible-based, easy-to-use homeschool curriculum that helps parents like you teach the heart, soul, and mind of your child. Ray and Charlene Notgrass are Christian veteran homeschooling parents and authors. They've written the Notgrass curricula with the purpose of encouraging the hearts and minds of homeschool students, so that they can be prepared to carry on & teach their own children into the future. The Notgrass Company has built a strong reputation for offering quality History, Civics, and Government for Middle School and up! Visit the Notgrass History website for more information. Read about the Notgrass Company and the authors. 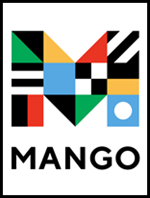 Watch select product videos and seminars. Fulfillment: The Co-op will forward your order to the Notgrass Company immediately when you place your order. Your order will be processed and leave the Notgrass Company warehouse within 5 business days (or less) after order date. Shipping: Your order will leave the Notgrass warehouse within 5 business days (or less) of order placement. Your order will ship by the best method available - usually USPS Priority or UPS Ground. Shipping is FREE for U.S. destinations only. Sorry, no International shipping or expedited shipping is available for this offer. Returns/Cancellations: In order to bring you these great prices, we cannot accept returns or cancellations. However, if the product is defective or damaged upon receipt, you may return it for a full refund (excluding shipping) within 15 days. Submit your return request at our Contact Us page. You will receive return instructions via email and/or phone. 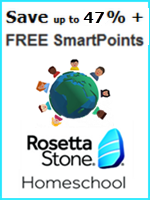 1000 BONUS SMARTPOINTS - You earn bonus points when you purchase this item at the Co-op! 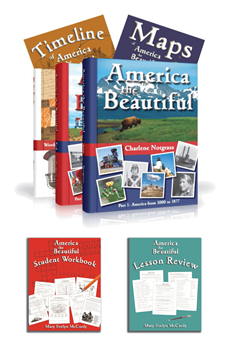 America the Beautiful by Charlene Notgrass is a one-year American history, geography, and literature course designed for students in grades 5-8. It combines the flexibility and richness of a unit study with the simplicity of a textbook-based approach to history. Daily lessons guide your child chronologically through American history, highlighting key events, people, and places. The Student Workbook contains crosswords, find-a-words, matching, codes, drawing assignments, and other handwork activities which review and reinforce information learned in the daily lessons. The Lesson Review book includes daily lesson review questions, literature review questions, and weekly quizzes. This book is designed to help parents measure their child's comprehension of the material. 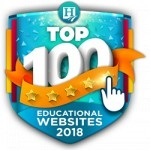 Exploring World History is a one-year high school course that teaches students to understand history from the perspective of faith in God and respect for His Word. In addition to reading the history narrative about events, issues, and people from around the world and across the centuries, students read the words of people who made history in original documents, speeches, poems, and stories. They also read classic literature that helps bring to life the time periods they are studying. A variety of writing assignments and hands-on project ideas help students engage in what they are learning. The updated 2014 edition features hundreds of color illustrations and photographs. In addition to a thorough survey of Western Civilization, it offers expanded coverage of Latin America, Africa, and Asia. 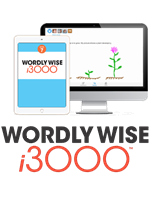 The Student Review Pack includes lesson review questions, literature review questions, literary analysis, and Bible commentary. The Quiz & Exam Book has weekly quizzes and six exams that can be removed from the book and given to the student individually if desired. The Answer Key has all of the answers for the parent to use in grading. 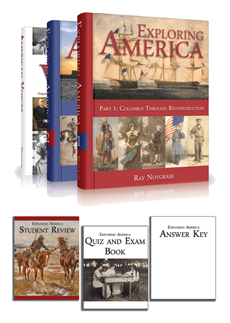 Exploring America is an American history high school curriculum combining American history, American literature, and Bible. 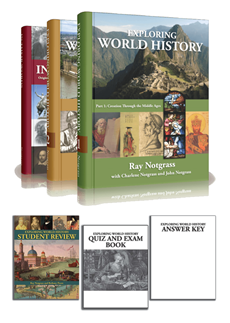 The curriculum package includes three hardcover books that contain the history narrative, Bible lessons, and all reading and writing assignments (except the literature) needed to earn one year of high school credit each in American History, English, and Bible. It also includes a short guide for parents and teachers. The Student Review Pack includes lesson review questions, literature review questions, and literary analysis. The Quiz & Exam Book has weekly quizzes and six exams that can be removed from the book and given to the student individually if desired. The Answer Key has all of the answers for the parent to use in grading. 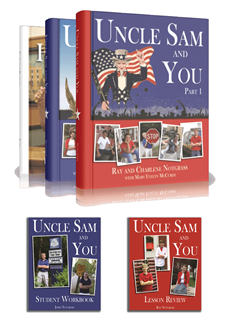 Uncle Sam and You is a one-year civics and government course for students in grades 5-8. Daily lessons teach your child about the foundations of American government, the elections process, and how Federal, state, and local governments work. The Curriculum Package includes Uncle Sam and You Part 1, Uncle Sam and You Part 2, The Citizen's Handbook, and the Uncle Sam and You Answer Key. The Student Workbook contains crosswords, find-a-words, matching, drawing assignments, and other handwork activities which review and reinforce information learned in the daily lessons. It also has weekly tests. 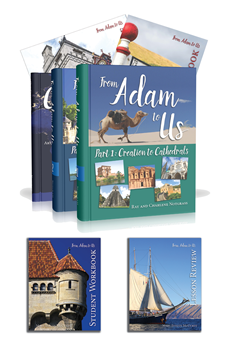 From Adam to Us by Ray and Charlene Notgrass is a one-year world history and literature course designed for students in grades five through eight. The daily lessons are written in a narrative style and richly illustrated with color photographs and maps. Primary sources, literature, and hands-on activities help the student connect with the history in a personal way. With parental help and supervision, younger children can participate in many activities and can benefit from hearing the lessons read aloud. The Student Workbook includes a collection of crosswords, word searches, matching, and other handwork activities reviews and reinforces information learned in the daily lessons. It also includes literature review questions and unit tests. 325 BONUS SMARTPOINTS - You earn bonus points when you purchase this item at the Co-op! Exploring Government is a one-semester high school course that provides a half-year credit in government. 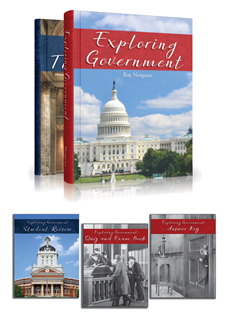 Lessons cover Federal, state, and local government and also contemporary issues in government. Special emphasis is placed on the Biblical basis for government and on the U.S. Constitution. The Curriculum Package includes two hardcover books: the Exploring Government textbook and We Hold These Truths. 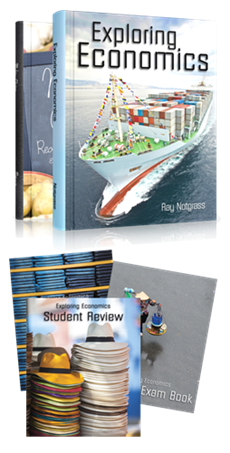 The Student Review Pack includes 3 books: Student Review, Quiz and Exam Book, and Answer Key. 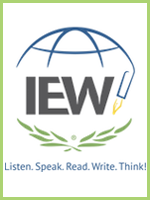 Exploring Economics is a one-semester high school course that helps students understand economic terms and issues that have an impact on the United States and its citizens. This course introduces both microeconomics and macroeconomics, providing one half-year of credit for high school. The Quiz and Exam Pack includes includes lesson review questions, weekly quizzes, and three exams. The pack includes a separate Answer Key.